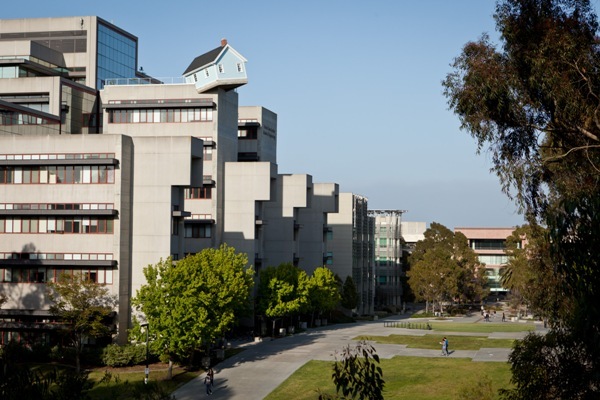 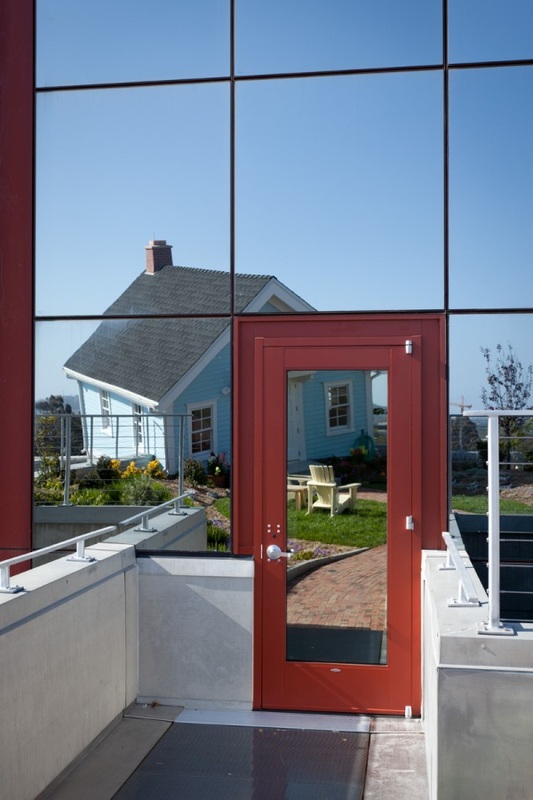 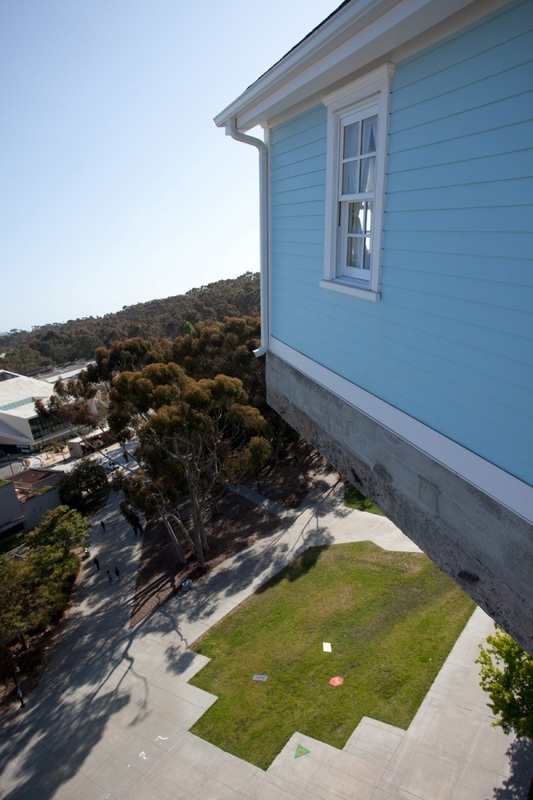 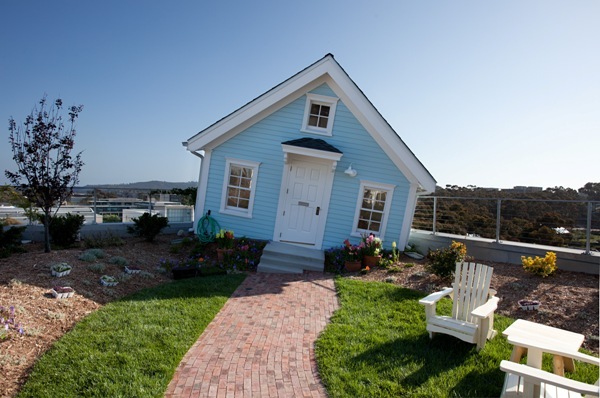 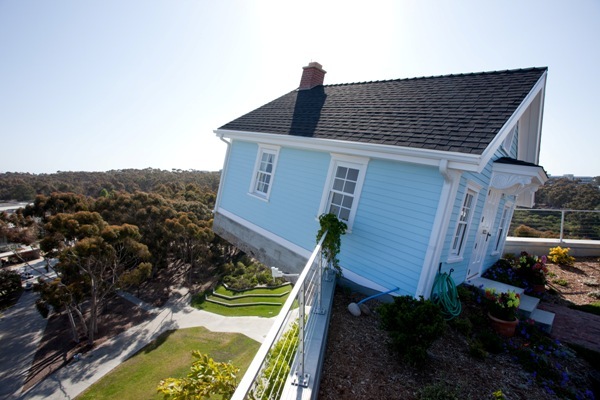 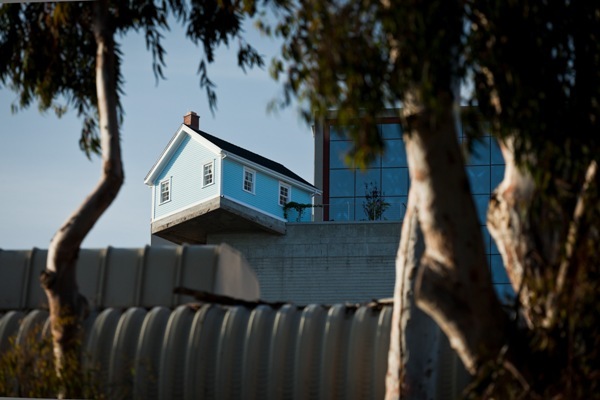 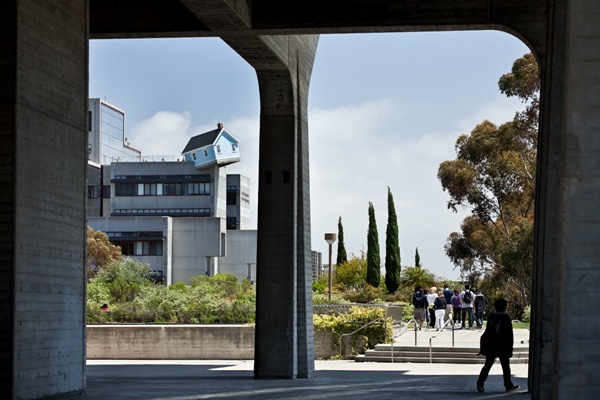 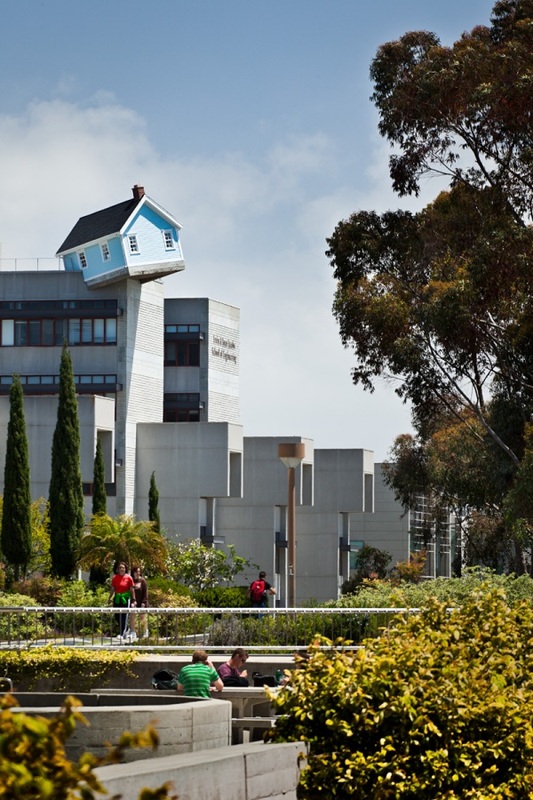 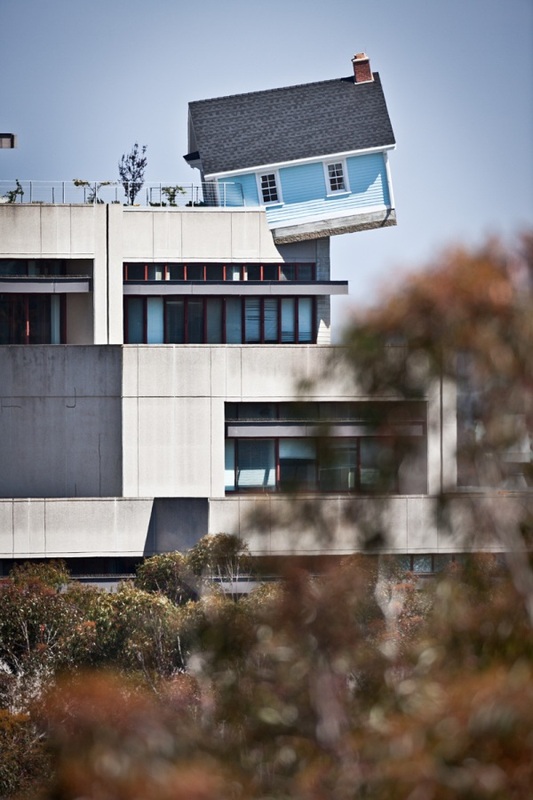 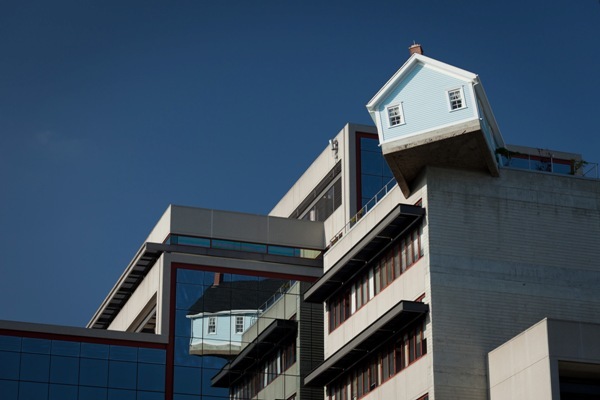 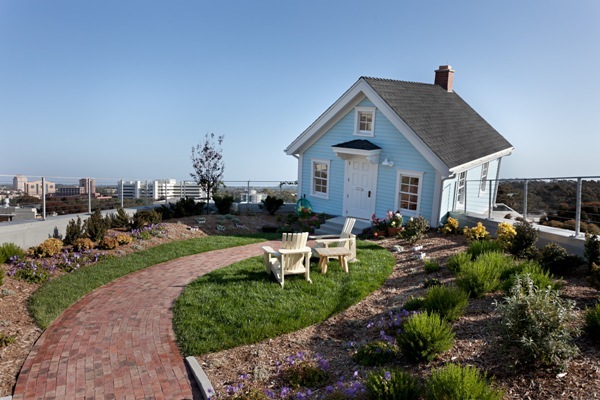 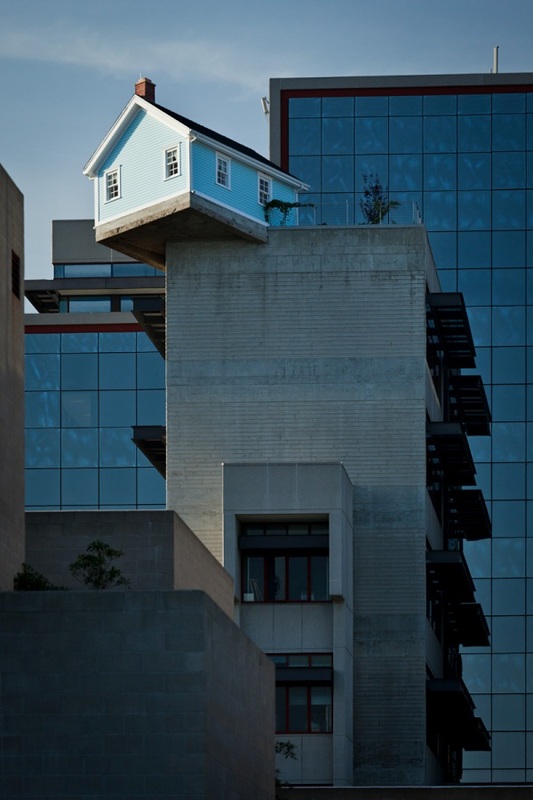 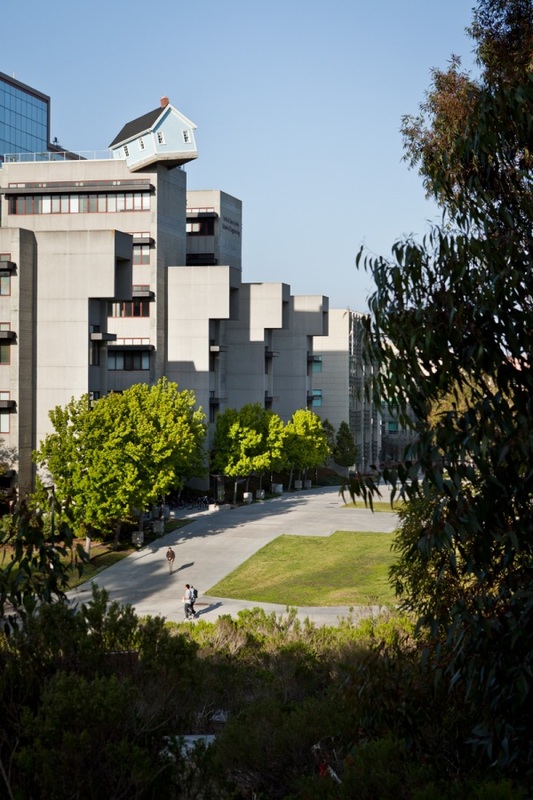 Korean artist Do Ho Suh placed a real house called “Fallen Star” on top of Jacobs Hall building on the campus of University of California in San Diego. 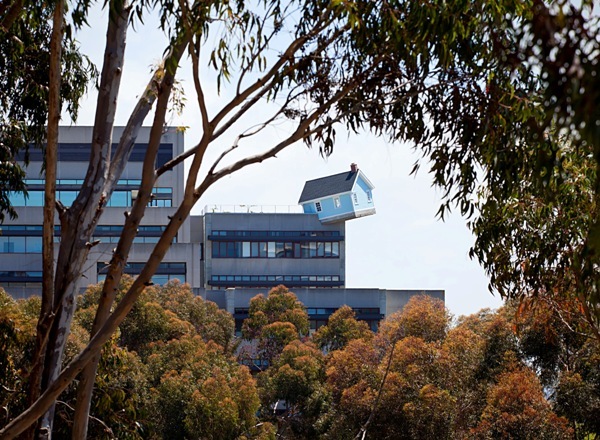 Suh’s small “home” has perhaps been picked up by some mysterious force and appears to have landed or crashed onto the seventh floor of Jacobs Hall at the Jacobs School of Engineering. 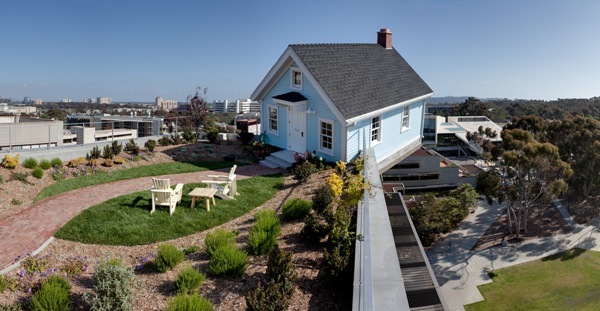 The roof garden is part of his design and the whole creates a space with panoramic views for small groups to gather and readjust. 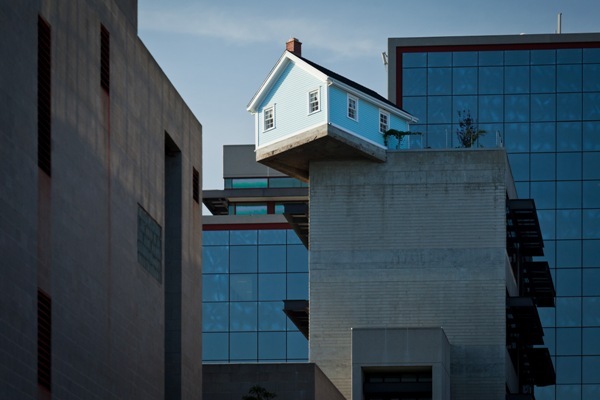 Do Ho Suh came to America in 1991. 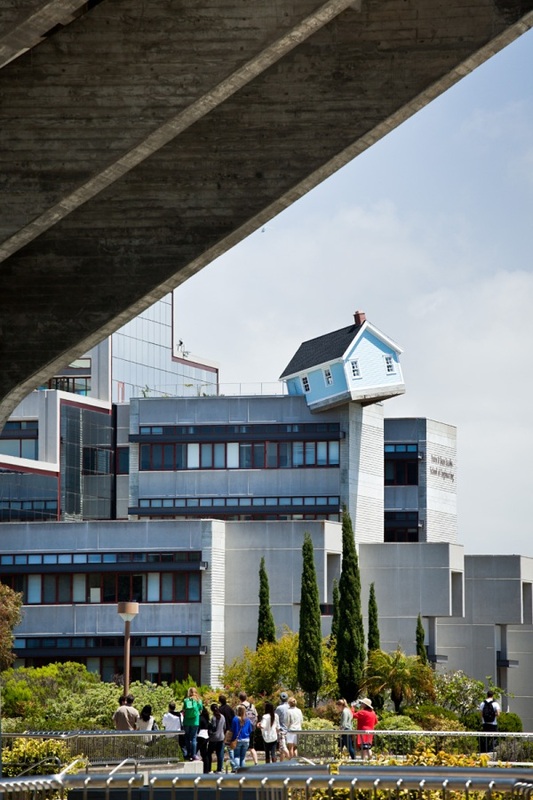 He had to physically and mentally adjust to new surroundings. 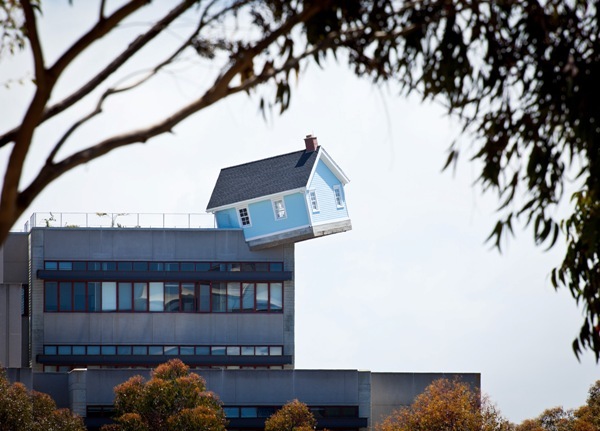 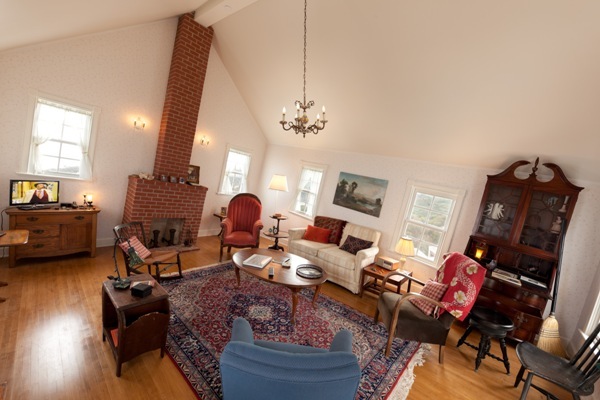 This unique and creative art installation was inspired by the concepts of “home” and “cultural displacement”.